The 1001 Nights Diamond Purse is the world’s most expensive handbag certified by the Guinness Book of World Record. The purse is designed like the shape of the heart and it is encrusted with 4,517 diamonds in pink, yellow and colorless variants, which sum up to 381.92 carats. Ten skilled artisans designed this luxury accessory and they spent a total of 8,800 hours to complete the design. 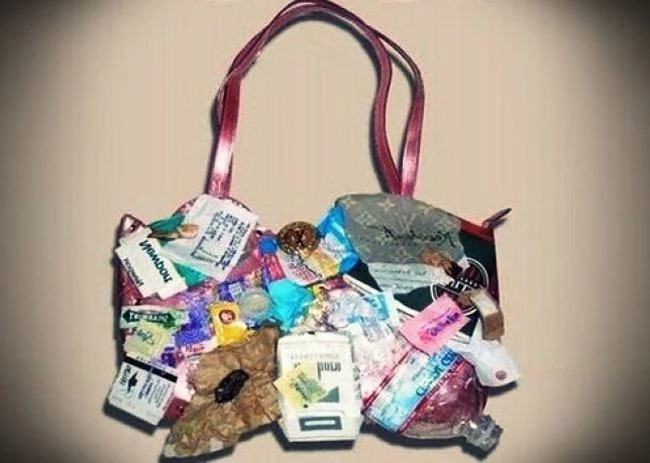 This bag is a very precious accessor,with it you have no need to wear a bracelet. Crafted to resemble crocodile leather, this stunningly small and luxurious bag made out of solid rose gold was designed in collaboration by Hermes and jeweler Pierce Hardy. This handbag ,took two years to create and only 12 with two variants were ever created.One is made with 11,000 diamonds and the other one is made of crocodile scale and 1160 diamonds. Another master creation of Hermes is Chaine d’Ancre. It was designed by the famous designer Pierre Hardy. Pierre gave a unique look and most exclusive look to Chaine d’Ancre.The details and the elaborate styling make this piece one of the most expensive Hermes bags in the world.It took them a couple of years to produce this bag .The Hermes Chaine d’ Ancre Bag is part of the Hermes Haute Bijouterie collection and is a collectable item because there are only three pieces made. .With many white golds and 1160 diamonds of 33.94 carats is crafted in this bag. Ginza Tanaka, the Japanese designer, made the body of this Hermes Birkin bag with 100% platinum. In addition to this, she adorned the bag with 2,000 diamonds and an 8-carat pear-shaped shimmering diamond. To make it perfect, the strap and the diamond are removable and can be used separately as a necklace or bracelet. 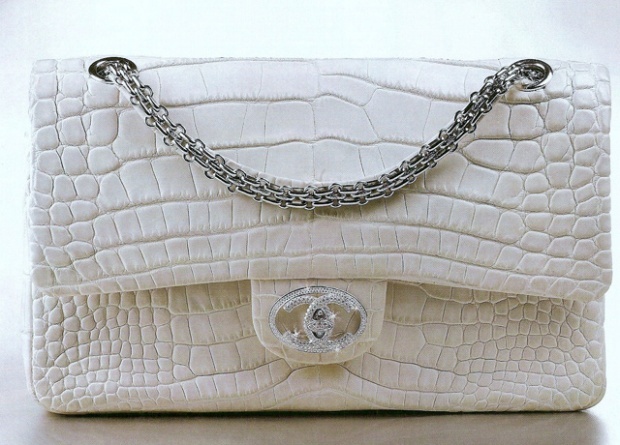 This classic bag features a staggering amount of 334 diamonds (which equals 3.56 carats) set in 18-carat white gold. In addition to this, they made the shoulder straps from white gold. Chanel made only 13 of these luxury bags so far. Once a year, Lana Marks produces just one Cleopatra bag. 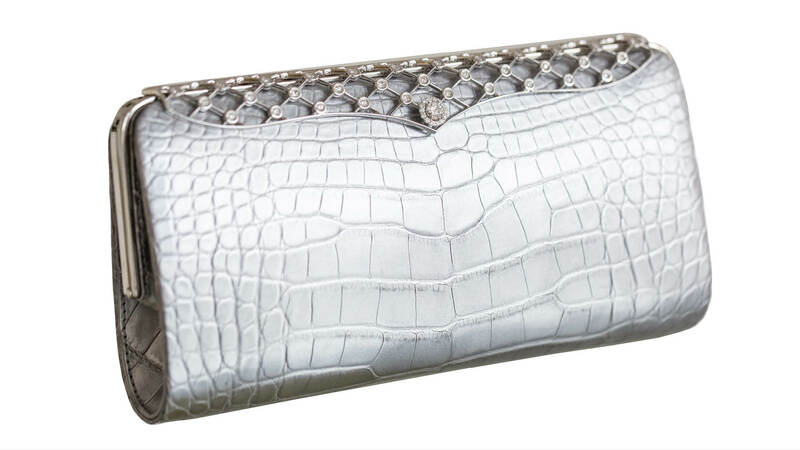 The bag is made of metallic silver alligator skin set with 1,500 white and black diamonds in 18-carat white gold. The Urban Satchel Bag made by Louis Vuitton looks just like a piece of rubbish and it comes with an exceptionally cruel price tag. You need to take a look to understand what this means. 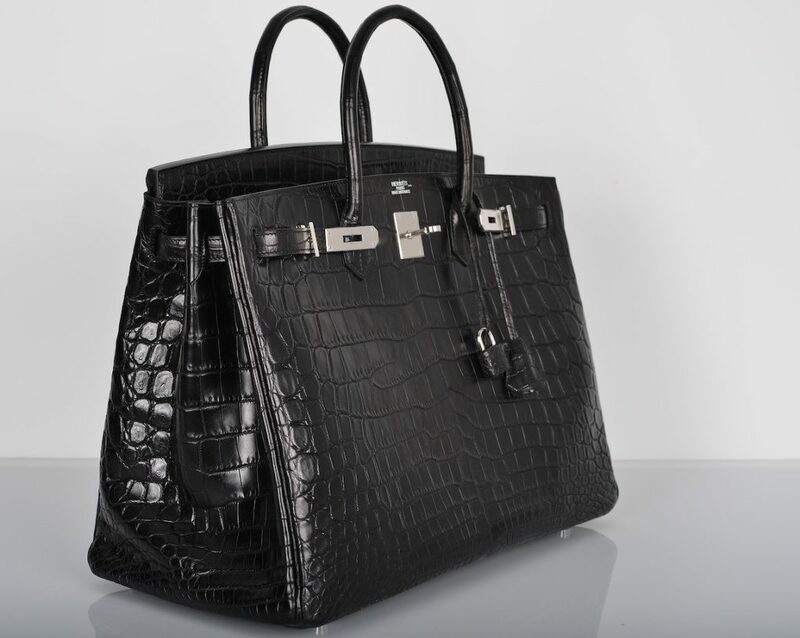 The Birkin bag made by Hermès is one of the world’s most popular bags and it was inspired by French actress Jane Birkin. 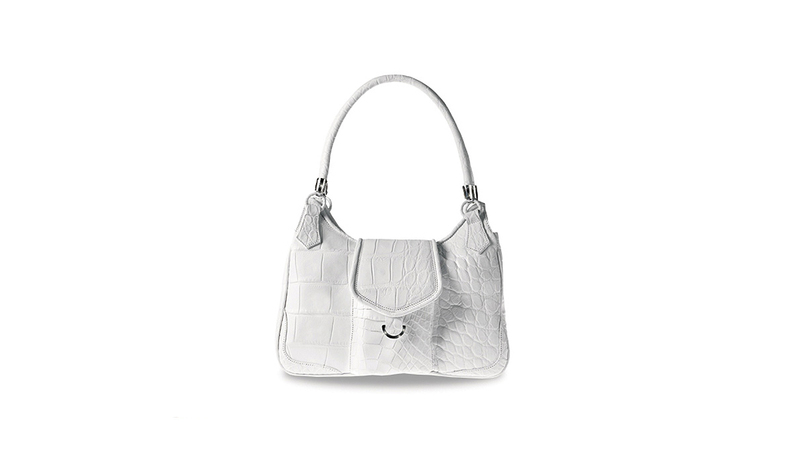 This bag is made of crocodile skin and it features 10 carats of white diamonds in its clasp. This expensive and rare bag features 1,016 diamonds totaling 42.56 carats, 800 tourmalines and 1,169 pink sapphires, which are all set in 18-carat white gold. This bag is so precious and rare to the extent that there is only one of it in the world. This New Age Traveller backpack made by Louis Vuitton features various lurex jacquard woven Monogram textiles in addition to exotic skins like the snakeskin and crocodile. 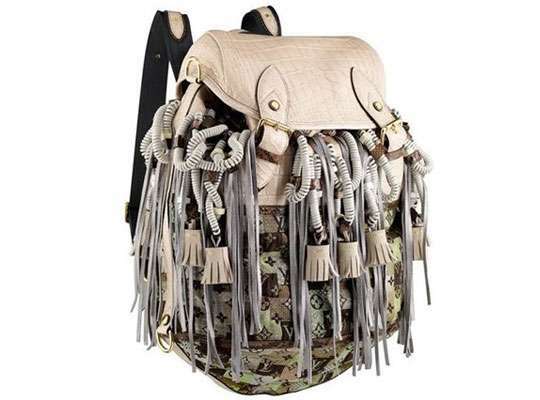 The bag also has headphone cables, suede leather tassels, and two furry foxtail charms. Not much of these bags are available in the world; only 20 of them and they were designed using 15 different Louis Vuitton patterns. The Gadino Bag, which was designed by Norwegian designer Hilde Palladino features 39 white diamonds all hidden in clasps of white gold.